We are so excited that the two of you are ready to begin a new chapter in your lives and journey together through marriage. Allow us to guide you through the processes of wedding day photography and cinematography and show you what the Palette of Light experience is like. We cannot stress this enough. The BEST moments we've captured were ones of genuine personality, silliness, excitement, and of course love. When you cast your worries away and enjoy every single moment of the day side by side with your soulmate you'll create a day that you'll cherish for a lifetime. Our photographic style focuses on creating romantic images with high visual impact. 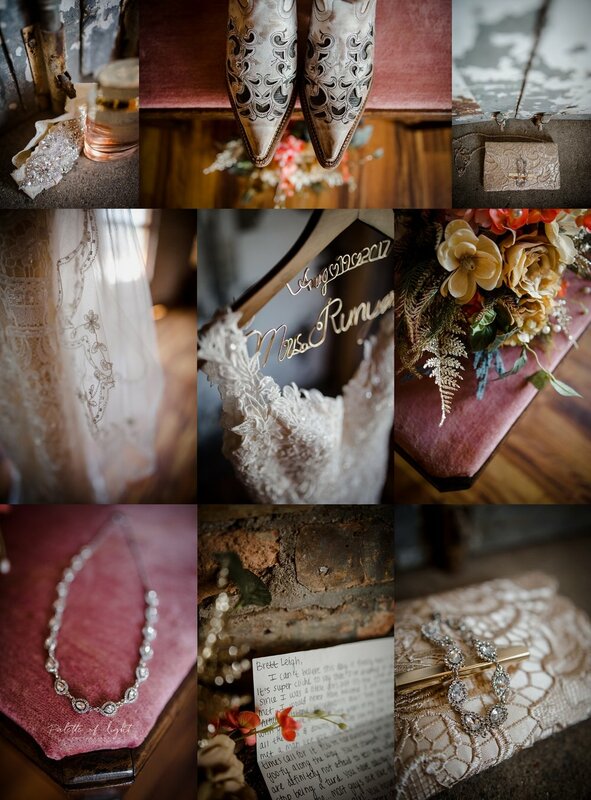 We love capturing colors, textures, details, and patterns that you have taken so much time putting together for your wedding day. We gravitate towards rich color and always want to preserve natural color tones. We love natural light as it gives such a beautiful and romantic look and feel to our images. We always go above and beyond to find the perfect quality of light; Whether it be natural window light or the most gorgeous sunset bursts. You'll see sunlight as a running theme throughout all of our work. Video is just as important in telling the narrative. We will take a moment during your day as the two of you send a short personal message to each other through video. It is important to give you a custom boutique photography and cinematography experience that focuses on you and bringing out your love and genuine personalities. We want to create a sense of nostalgia that will bring you back to that very moment in time. Scheduling your engagement session is important for several reasons. First, this time allows you to become comfortable in front of the camera and it lets us know how the two of you interact with one another. We also spend time getting to know you better and often discuss minor wedding day details. You showcase your personalities in a more casual setting, while creating some fun captures for wall art, your wedding sign-in book, and Thank You cards. Engagement images add another dimension to your album collections, chronicaling the story from engagement to your wedding day. Best of all, you can capture this special time before you are joined as one! This is your time together and we love to capture your unique personalities. We LOVE the nostalgia of a good wedding highlight video. Most of our packages include video since we believe there is a special quality to a moving moment. Our favorite aspect is to capture the emotion of the day. Instead of focusing on long cinematic shots of static elements (like shoes), we really try to incorporate all the exciting moments - the "action" shots. We want to make it feel like you can re-live your wedding day and all the emotions over and over for generations to come. The Palette of Light wedding experience begins at $3200. Family & Portrait Sessions Starting at $200. Wedding Collections starting at $3800.